A couple days ago I found a bone on my trails. 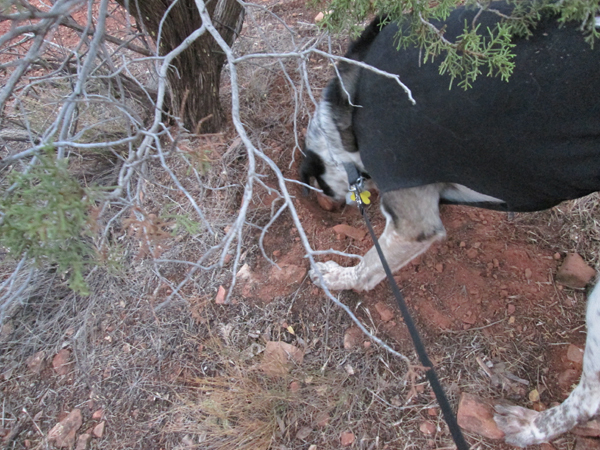 So today when I found that bone again I decided to bury it. and I dropped it in. 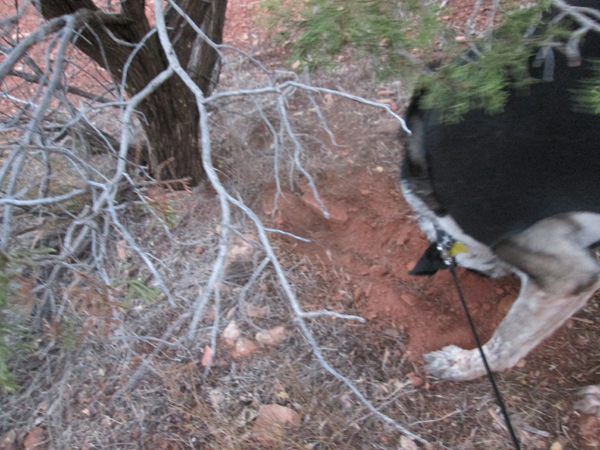 so I buried it with my nose. It was hard work, but I got that bone covered up. But now I can’t see that bone anymore. And I can’t smell it as well, either. I’d better dig it up and make sure it’s still there. Guess I’d better take it and put it in a safe place. What do you mean, drop it? I worked hard for this bone, person. I dropped it, but I’m holding you responsible if anything happens to it. Hmmm, are you sure it’s a bone, Bongo??? Marina, I know it kind of looks like a rock – but that’s because it’s covered in red dirt. I wonder if it’s still out there – now that I’m back home from the dog hotel. Little Binky, I’m going to have to have my person sew a pocket onto my jacket. Oh, Bongo – this reminds me of that cute dog trying to find a safe place for his bone on TV – but you are so much cuter, of course. Molly, you’re welcome to come dig with my any time. You have to look really hard for a place with soft dirt, but since we don’t have grass nobody yells at me for digging it up. Gizmo, what a great idea. If I put my bone in a bank vault nobody else could come after me and take it away. I do not like the word, “Drop it.” It always makes things fall out of my mouth. Things that were about to be fun and delicious! So unfair. I hope your bone doesn’t disappear. 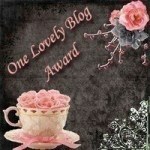 Cupcake, I wonder if we could have “Drop it” taken out of the dictionary. I hear it a lot when I try to take one of my indoor toys outside with me. Sometimes people are spoil sports. Patricia, my person seems to be a spoil sport way too often. Benny & Lily, I’ve got the smell. I’ll find it again. I hope nobody else finds it and takes it away. Dalton, I don’t think my person appreciates all my hard work. Good job, Bongo! But….like marina said, I’m also wonderimg if it’s a really bone? because the color lloks brown….no…? 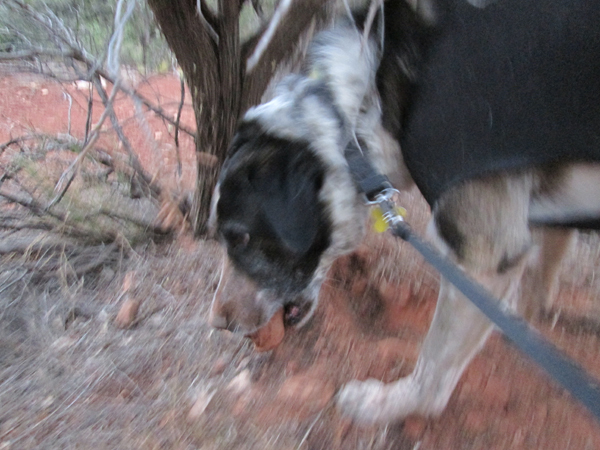 Kevin, the color is all the red dirt that covered the bone up when I buried it. Good work Bongo – that’s a real find but I hope nobody steals it on you. I had a buddy come by my house to play with me & I let him play with my buddy bear & squeaky pinky, even let him chew on some of my bones. But can you believe he took my raccoon & dug a hole and buried him? I don’t mind sharing but I don’t like when company tries to hide my stuff on me. 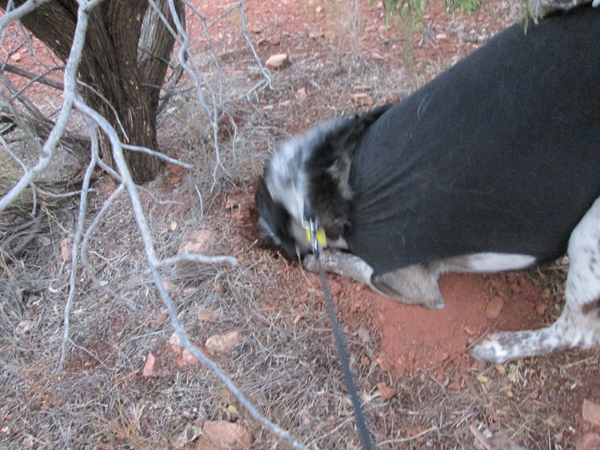 Lucky for me raccoon’s head was sticking out of the hole & I was able to rescue him. Lola, I can’t believe your buddy buried your raccoon. I mean, how rude is that? I’m sure glad you were able to rescue him. 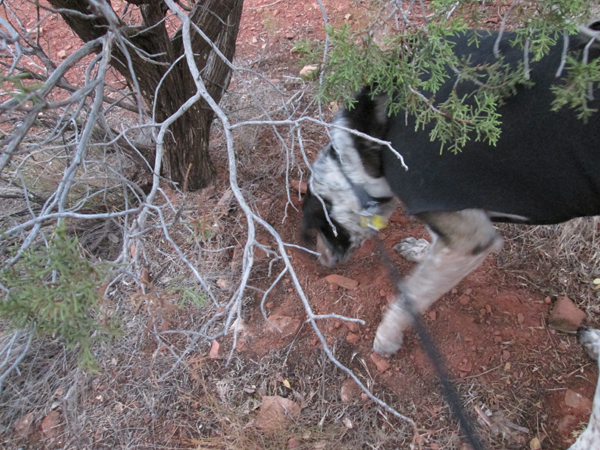 Once I buried my toy snake, but I left some of the tail sticking out and my person found him and unburied him. Sometimes you just have to keep an eye on your stuff. What kind of bone is that Bongo? Looks like something petrified. Misty Shores, there are bunches of these bones under a tree near my trails, but they’re white. 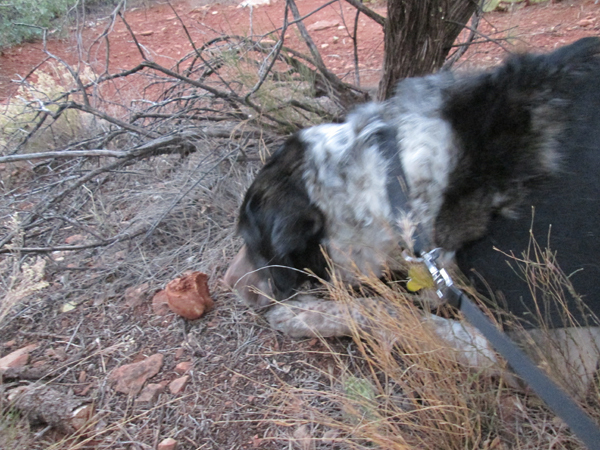 This one’s red because I buried it in red dirt. 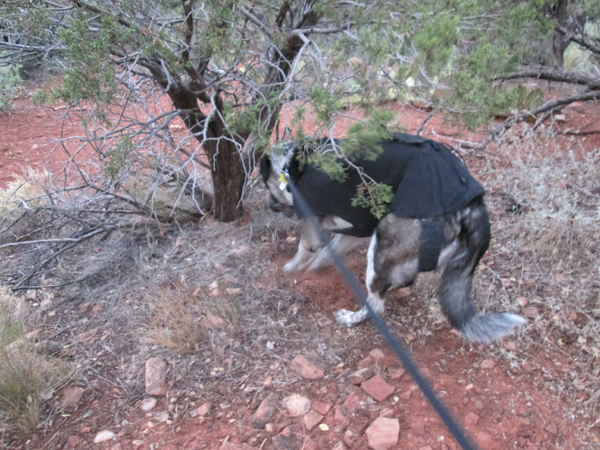 My person won’t let me go under that tree with the bones, but sometimes one of them sneaks out and ends up by my trail. Wow that is interesting, where did they come from I wonder. I’m not sure where they come from, but there’s a peanut tree near it. I know that’s from those pesky squirrels. Maybe the people that leave peanuts for the squirrels leave bones for the coyotes. I think you need a backpack for your shovel and treasures. Kolytyi, that’s a great idea but I have to figure out how to convince my person to carry it for me. Ginger, that’s a great idea. It might get my person to stop using those words.